There are some operations a life sciences company cannot succeed without, such as a well thought through clinical trials approach supported by flawless data collection and analysis. However, these functions are time and resource consuming – a critical problem when everyone is concerned with both lowering costs and increasing momentum. So, what’s the solution? Hire a functional service provider to execute the services, while still maintaining control. What is a Functional Service Provider? A functional service provider is a company that is contracted to do a certain job for another organization. A functional service provider is not the same as full outsourcing, which can be another valuable way to achieve the end result, but in that case, the pharmaceutical company gives up control over the majority of the clinical trial. They merely receive the data after the trial is complete. A functional service provider allows the organization to outsource the functional aspects of the job while retaining control of the job and data. This is a very popular method in the clinical research industry. 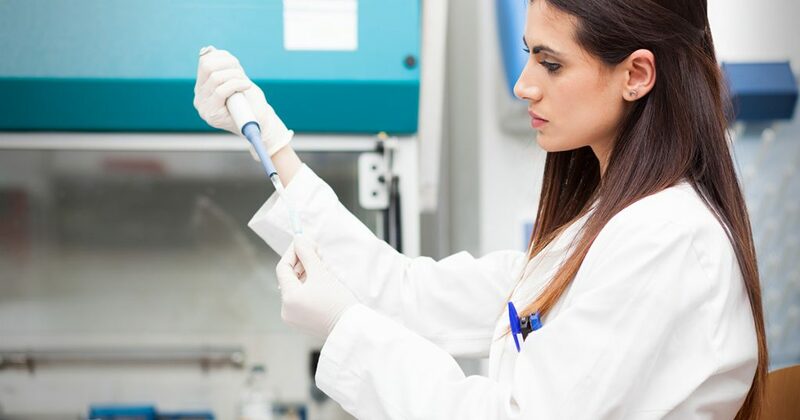 The popular use of functional service providers in the pharmaceutical field is likely due to the time-consuming and expensive nature of clinical trials and the peaks and valleys caused in the workload. A company must be able to complete thorough clinical trials while still moving forward with other business operations and projects. They should not be staffed with full time employees at maximum workload but rather at base workload level and address the peaks with expert resources through an FSP. This allows the pharmaceutical company to turn fixed costs into variable costs without sacrificing quality or relinquishing control. Therefore, if you want to be more hands-on but still save money and time through outsourcing, using a functional service provider is the way to go. Hiring a functional service provider has many upsides. Time saved and quality gained are two of the best reasons. There are also many other advantages. Let’s dive in. The biggest downside of a clinical trial is the time, money, and resources it takes away from all other aspects of the business. Hiring a functional service provider allows for on track advancement of other core work while still reaping the benefits of the clinical trial. Hiring a functional service provider allows you to save a lot of money. You are only paying for the specific clinical services you’re hiring them for, and then the resources and their cost go away once the project is complete. Functional service providers benefit you with their expertise in the field for which you are hiring them. This improves the quality of the work in itself. Also, quality is often improved by delegation. Because your company avoids being spread too thin, proper attention can be paid to both the clinical trial and day to day operations. The quality of the clinical trial is also aided by the outsourcer’s involvement in the process. This allows them to optimize the study without having to provide all the resources. There is no doubt that outsourcing the time-consuming aspects of the trial to the right partner improves the quality of the trial, analysis, and core operations of your business. Pairing up with a functional service provider allows your company access to their resources. Meaning, you get all the benefits of their line management, employee services and benefits, technology and more…all included in the cost of your contract with them. FSPs offer the best of their services to you while remaining independently responsible for the cost of their resources. By hiring a functional service provider, risk is reduced because of the time and resources saved allow you stay on top of all areas of your business without interruption. Functional service providers can facilitate access to otherwise unreachable market areas. This is because hiring an FSP expands the geographic reach of a company. Efficiency is not just achieved by delegation. It is also gained by hiring clinical service experts, data processors, analysts, and more that you may not already have access to. This relevant expertise ensures the quality and efficacy of your trial, leading to a better clinical outcome. Functional service providers manage the human resources, payroll, employee schedule, benefits, and more of everyone they bring on to complete the job they’ve been hired for. This management, which takes a lot of time and resources to do effectively, is entirely off of your hands. In addition to not having to manage the employees of the clinical service your FSP is providing, you may not have to provide them with office space to complete the work. That could mean everything from the rent or mortgage on the building to desks to internet costs to printer paper! The cost of your contract with the FSP includes the operational costs they need to keep the lights on and the rent paid, freeing up a huge amount of responsibility and money for you. As opposed to fully outsourcing a clinical trial, hiring a functional service provider allows you to retain control of the study. This retained oversight means that you are still involved in the execution and operation of the study. FSP arrangements work well not only for clinical trials but also in other areas such as lab operations and regulatory affairs. These two areas are typically resource intensive and experience peaks and valleys in workload. Now that you know the benefits of working with a functional service provider, the trick is finding one you trust. That’s where we come in. Turesol Staffing Solutions has trusted relationships with some of the most forward-thinking life sciences companies in the world. And we’d be happy to show you more ways to optimize the productivity of your workforce.